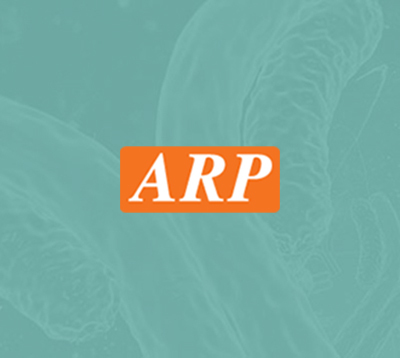 CRYM, 1-314aa, Human, 01-1832 | ARP American Research Products, Inc.
Crystallin mu, also known as CRYM, is a member of the crystallin protein family. Crystallins are separated into two classes, taxon-specific and ubiquitous. This gene encodes a taxon-specific crystallin protein. The human CRYM gene maps to chromosome 16p13.11, and encodes a protein that is expressed in neural tissue, muscle, and kidney. 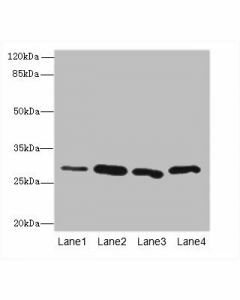 Unlike other crystallins, CRYM does not perform a structural role in lens tissue, but rather it binds NADPH and thyroid hormone, which indicates that it may have other regulatory or developmental functions. Recombinant human CRYM, fused to His-tag at N-terminus, was expressed in E.coli and purified by using conventional chromatography techniques. 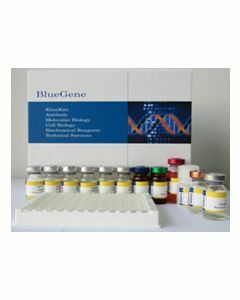 THBP, Crystallin mu CRYM, DFNA 40, DFNA40, Mu crystallin homolog, NADP regulated thyroid hormone binding protein, OTTHUMP00000115878. Kim RY., et al. (1992). Proc Natl Acad Sci USA. 89(19):9292-6. Muaders NW., et al. (1988) J Biol Chem. 263:15462-15466.